The surface of your roof is in a constant state of degradation. Sunlight, temperature changes, rain, tree branches, ice, and wind are always eroding and damaging your roofing system. At Magnum Contracting Group, our roofers can help you monitor this important portion of your property through routine roof inspections in Long Island. Your roof provides your property with its first line of defense against inclement weather, water incursion, and the elements. If a leak occurs, the damage can then take place at an ever-accelerating rate. 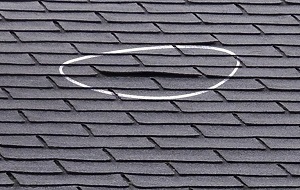 Our roof inspection services prevent this from happening. If you need to hire a professionally licensed Long Island roofing contractor to conduct a routine inspection on your home or business, call Magnum Contracting Group today. Our professional and polite staff would be happy to assist you in any way that we can. We can schedule your appointment today. The primary purpose of your roof is to keep water out of the interior of your property. Because roof degradation is such a gradual process, minor leaks can occur and go undetected for months or years at a time. As such, it is important to be diligent when it comes to roof maintenance. According to industry experts, you should have your roof professionally inspected at least once every three years by an honest Long Island roof inspector. Our highly skilled roofing contractors can assess the state and condition of your roof for you. We will identify and repair all apparent and unapparent problems. Afterwards, you can rest assured knowing that your roofing system is in the best condition possible. One of the best reasons to conduct routine maintenance and roof inspections in Long Island is that they save you money in the short term. Inevitably, your roof will spring a leak, and you will have to repair it. If the leak is allowed to linger for an extended period of time, the unavoidable repairs will only become more costly. By hiring our professionals to conduct routine roof inspections and repairs, you will be able to find all the leaks before major damage can occur. You are guaranteed to be pleased with the enhanced level of protection that your roof provides and the resulting monetary savings. Routine roof inspections and maintenance also save Long Island homeowners money in the long run. By preventing major damage and extensive roof repairs, our roofing contractors in Long Island can help ensure that your system lasts for its intended service life. By postponing the need for a costly roof inspection, our professionals help you get the most value out of your initial investment. If you would like to schedule a roof inspection in Long Island, please call 516-277-2300 or complete our online request form.